The Cooperative Entrepreneurship Curriculum walks participants through an examination of the philosophy and practice of cooperation, the meaning of "development" and "entrepreneurship" in their lives, the steps required in starting a cooperative business, and an exploration of two of the most important steps - organizing people into a Steering Committee, and creating a Business Plan. All activities use Popular Education methods, drawing directly on the expertise and insight of participants to guide the learning process. 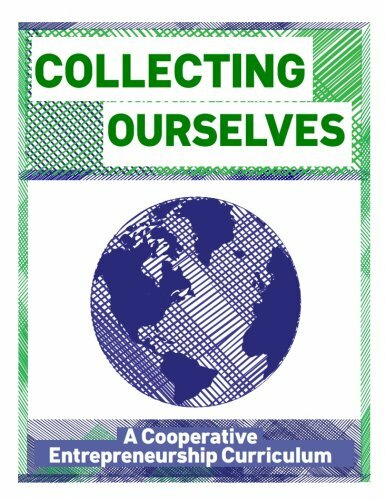 "Collecting Ourselves" is comprised of 9 full workshops encompassing up to 16 hours of cooperative entrepreneurship training - the curriculum can serve as content for a semester class in university, be used in regular community study groups, or be fodder for a retreat-style academy. It was developed for youth (teens to 30s), but is modular and adaptable for most age groups (as well as for identities, experiences, etc).